Here are three subject lines that I thought were good. Many retailers struggle with gender specific emails when they are not certain about the gender of their subscriber. 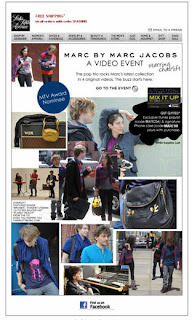 Retailers do not want to mis-market by sending a male and female specific email or vice versa. 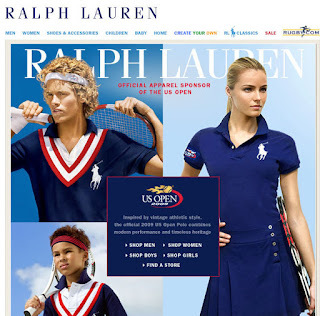 Saks Fifth Avenue and Ralph Lauren both do a good job here. 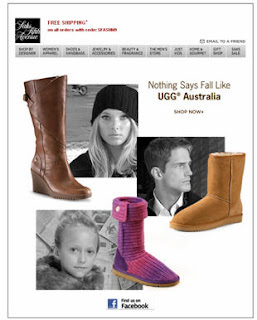 The message is the same - Ugg boots and tennis gear - both genders and a children are given similar billing in the creative. 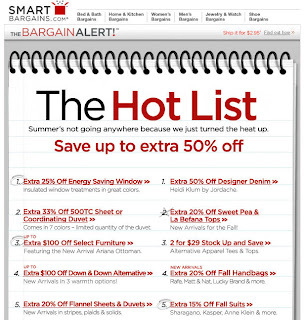 Making sure all holidays, and not just the major ones, are a part of your email campaign is important. Eddie Bauer does a good job with this Labor Day email. It has some good offers and the creative is captivating. 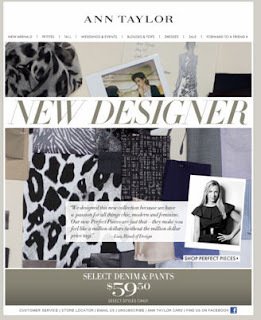 I like the way Ann Taylor features the brands new designer - Perfect Pieces. 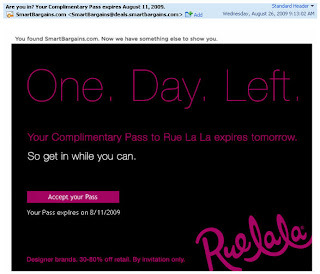 This email is classy, catchy and is able to feature the designer products and offers a quote from Lisa, who is apparently the Head of Design, at Ann Taylor. 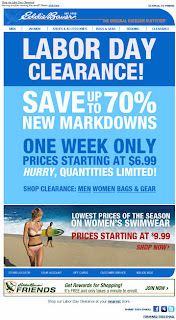 SmartBargains.com redeems itself with this clever creative. But, I am curious to why the numbering repeats moving left to right. There are two ones, two twos etc. Many retailers try to make sure customers do not share their unique codes. This is not the case for Petco. 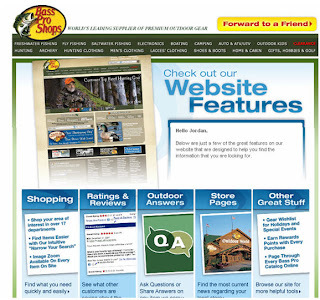 The Pet supply retailer rewards customers for sharing their Unique Code. The code gives Free Shipping on orders of $40 or more. 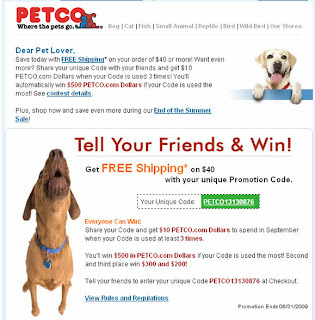 The subscriber who shares his or her code the most will win $500 in Petco.com dollars.